Mr. Monde Mondi is Group Executive: Human Resources and Real Estate and Asset Management. He holds a Master’s degree in Labour Relation and HR, Bachelor of Philosophy in Value Analysis and Policy Formulation, Master’s Diploma in HR, Management Development Programme, and BA in Education, Executive Management Programme and Introduction to Property Investments. Mr. Mondi has more than 20 years of experience; he worked for multi-national company, Public Sector, Higher Education, Parastatal and Private Sector. He has more than 15 years’ experience in various leadership positions. He gained his experience in people’s management, strategy formulation and implementation, transformation and Change Management, Restructuring of Organisations, Policy Formulation, Labour Relations and Negotiations. 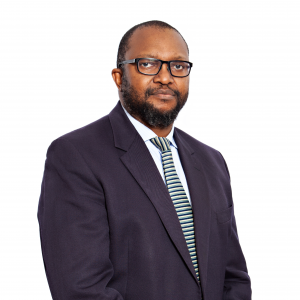 Monde worked in Local Government as a regional head, managed Key Accounts Management also worked as a Director for Programme and Asset Management and also worked as General and Executive Manager in various organisations. Mr. Mondi sat on Management and Executive Committees and served as a board member in various committees as a Chairperson and as an ordinary member.